In a rush to ready its motherboards to support Intel's desktop Kaby Lake processors, MSI apparently overlooked something important that affects recently released BIOS updates. MSI isn't saying exactly what it found, but whatever it is, it's serious enough to warrant pulling the BIOS updates offline while the company works on new ones. 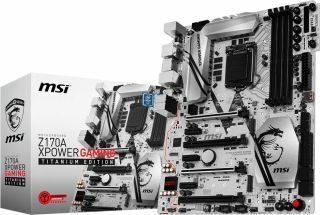 The buggy BIOS updates went into the wild just over two weeks ago and covered MSI's entire lineup of 100-series motherboards. If you own one and recently flashed the BIOS to the latest version, you probably don't need to roll back—it appears the bug is specific to Kaby Lake—but you should be on the lookout for a new one in the coming days or weeks. While something might have been lost in translation, the motherboard maker indicated to German-language website Computer Base simply that "an error was found and will be corrected currently" (credit to Bit-Tech for the heads up). That prompted MSI to pull the updates on Thursday. The good news for MSI is that it has plenty of time to rework things. While Kaby Lake is already here in mobile form, desktop processors based on Intel's newest architecture aren't expected until early 2017 (probably around CES). MSI isn't alone in prepping for Kaby Lake. Both Asus and ASRock have issued BIOS updates of their own, presumably ones that aren't buggy.